With the Congress announcing the name of Bobbeeta Sharma as candidate for the Guwahati Lok Sabha constituency, the prestigious Lok Sabha constituency is expected to have an interesting straight battle of ballots between the ruling BJP and Congress this time. 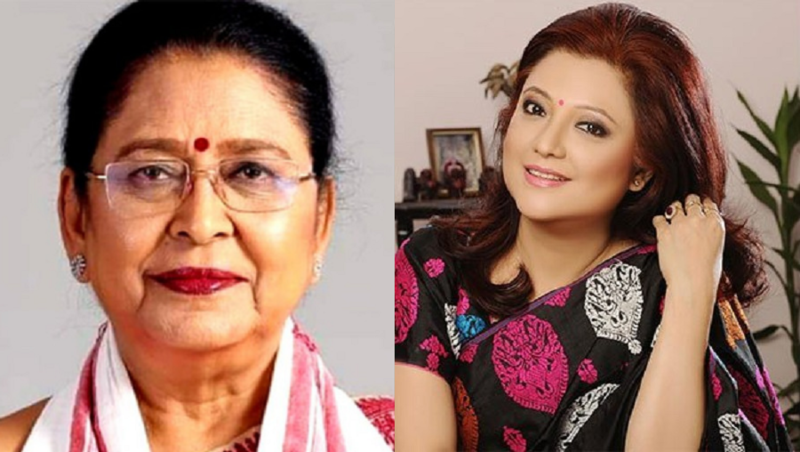 While the Congress has pitted Sharma, a college teacher, actor and producer & director of popular tele serial ‘Bideshot Apun Manuh’, the BJP has put forward senior party leader Queen Ojha for the prestigious Lok Sabha constituency. Sharma who acted as a child artiste in Bhabendra Nath Saikia’s feature film, Anirban in 1978 has also taught History in Guwahati’s Pandu College till 2002 before joining active politics in the same year. She has been associated with the Congress since her school days. Although she contested the 2016 assembly polls as Congress candidate from East Guwahati constituency, Sharma couldn’t clinch victory at the polls. “Flash floods, erosion are some of the main problems of Guwahati Lok Sabha constituency. Besides, there are also problems of drinking water,” Sharma pointed out. “The Congress government had started the JICA (Japan International Cooperation Agency) project in Guwahati which was supposed to be completed by 2017,” Sharma states talking about the project which is meant to provide financial assistance in the field of water supply, sewerage and sanitation and other social and infrastructure developments. “However, the BJP government that came to power in 2016 did not take interest in completing the project. I am going to put in my sincere efforts to end these burning problems,” Sharma noted. Ojha, on the other hand claimed to have over 35 years of active public life in Guwahati and was a mayor of Guwahati Municipal Corporation when Asom Gana Parishad (AGP) government was in power in the state in 1996. An active participant of the Assam movement, Queen Ojha became associated with active politics by joining Asom Gana Parishad in 1985. Ojha unsuccessfully contested from the East Guwahati assembly constituency in 2011. In 2014, Ojha left AGP due to differences of opinions with the top brass and joined the BJP. “I was born here and lived all my life in Guwahati. People know me well and I am confident that I will win the elections with a good margin,” said Ojha while talking toNortheast Now recently. She said that she is going to the people highlighting the development agenda of the government led by Prime Minister Narendra Modi. “I want to highlight the issue of development. Modiji has highlighted Sabka Saath Sabka Vikash and the BJP government in Assam had adopted zero tolerance against corruption. These two are going to be my main poll plank,”said Ojha. “I have been socially involved with the people of Guwahati for more than 35 years. People know me already. I have been a mayor of the Guwahati city earlier. I am involved with the people and so I am confident of my victory,” said Ojha.